Our stuffed diamond back rattlesnake from Aurora is a beautiful plush version of this amazing snake. ÊMeasuring 50 inches in length, this plush diamond back rattlesnake is red, orange, and black, and even has a rattle in its tail! ÊOur diamond back rattlesnake features a red tongue and lock washer eyes for safety and durability. 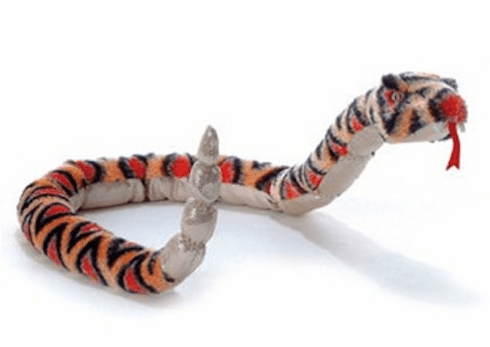 ÊJust like all of Aurora's quality stuffed animals, this plush diamond back rattlesnake is made from high quality, all new kid-safe man made materials and meets or exceeds all U.S. and European safety standards. ÊSurface washable; recommended for ages 3 and up.